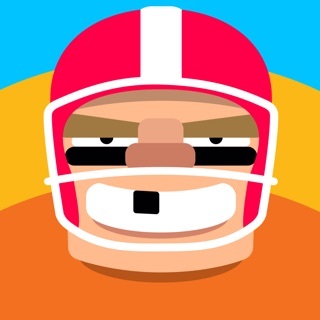 Dunkers reminds us of countless classic sports games dating all the way back to Pong. We loved hitting the court with its high-jumping characters and soaking up the funky 8-bit soundtrack. Pinching the ball from your opponent and bashing it into the net is super-slamtastic fun. This game is difficult and very technical to master. because of this and the simple, competitive nature of the game, it's a blast to have friends pass around the ol iPad and see who can win the most games. I love that this game is just "sit down and play, make sure you turn off random events." It's not only fun to be competitive with your friends, but also to play casually against each other. You can also play against the AI in tournament or arcade mode to pass the time on your own, and it's really fun too. 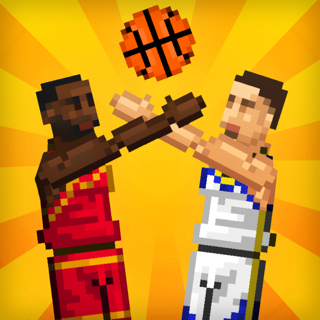 Though i'd recommend to anyone getting this game to grab a few friends, teach them the ropes, and play some Dunkers! I love this game. I LOVE THIS GAME! This game is so much fun! The only thing I want to say about it though, is that after you unlock all the characters, it gets pretty boring. I was thinking maybe you could add extra challenges with rewards or something. The rewards could maybe be spent in a shop of some sort. But I love this game so much it’s so much fun!